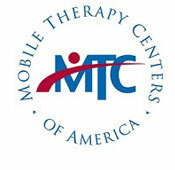 Mobile Therapy Centers is pleased to be expanding its services outside of the Chicagoland area. We now have a Board Certified Behavior Analyst (BCBA) and Speech Therapist available in the city of Moline, Illinois to cover ABA Therapy and Speech Therapy. These additions are part of our “Quad City” rollout, which has expanded Mobile Therapy Centers’ services in both Illinois and Iowa. If you live in or around any of these cities, please contact our office to schedule a consultation.